The Versa Pro is a Full-Strength Massager specifically designed for your lower body. Use it on your feet, lower legs, upper legs, or turn it upright and use it on your lower back. 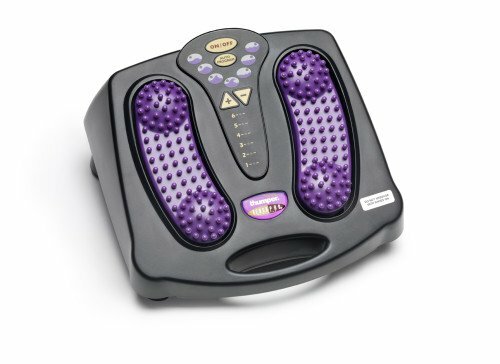 If you spend a lot of time on your feet and feel tired at the end of the day, this is the right massager for you. Just sit back and relax, let Versa Pro do all the work. Choose any one of 13 different massage settings; select the desired speed setting or choose one of the 7 auto programs. You can operate the machine from the on-board controller, or from a hand held remote. People love it because they do not need to hold the machine. Self-leveling steel suspension automatically adjusts to different body parts for maximum comfort. 184 acu-pressure nodes are powered by direct-drive Thumper action, speed adjustable from 16 to 30 pulses per second. You feel the massage of Versa Pro throughout your body, not just on the skin surface. With 10 times the output of ordinary massagers, Versa Pro is a true Massager with Muscle™. Patented Thumper Action combined with powerful DC motor offer strong, smooth percussive movement and long product life. 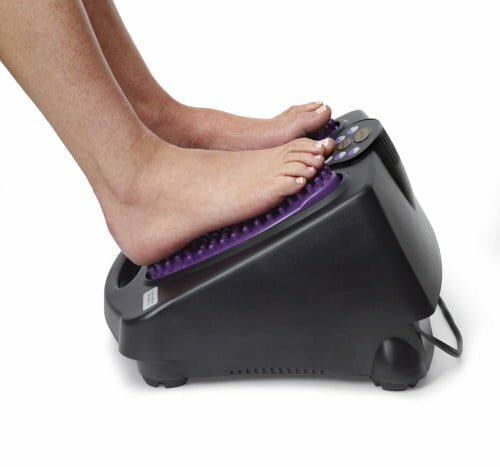 184 acu-pressure massage nodes ideal for the bottom of your feet. 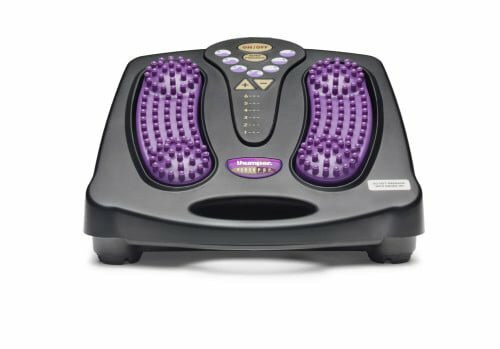 Massager remains stationary; you accommodate your feet and legs in most comfortable and effective position for massage. 13 choices of massage settings: 7 auto programs plus 6 manual to provide the best setting for each individual. All steel inner construction with auto leveling steel suspension for long live and heavy duty operation. Choice of dual controls – tactile controls on base or push button hand held remote.